THE FIRST PEI MARATHON EVENT FOR 2019 IS COMING UP FAST!!!! 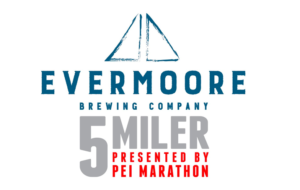 On May 19th, 2019 at 9:00am, join PEI Marathon at the Evermoore Brewing Co. (92 Water St in Summerside) for The Evermoore Brewing Company 5 Miler presented by PEI Marathon. All proceeds of the event will be donated to the Canadian Mental Health Association – PEI to fund mental health programs on PEI. Click HERE to register. We’re still tallying the final amounts for 2018, but preliminary numbers show we raised close to $13,000. Through your 2019 PEI Marathon Race Roster page which automatically has a fundraising portal/link that you can send to your contact lists or post on social media. By creating an online individual or team fundraising page through CMHA-PEI’s Canadahelps.org account – click HERE. As with Race Roster, you can copy your fundraising page link and send it to your contact lists or post it on social media. All donations you receive will be tracked and added to your total. “Old school”? You can download pledge forms, collect the cash, and then submit it to the PEI Marathon or CMHA-PEI offices by before race day, or drop it off when you pick up your race kit the weekend of the marathon. *tax receipts available for all donations made, regardless of medium. Call Bianca at (902) 628-3668 or email b.mcgregor@cmha.pe.ca.